OK. Confession time. I love monsters—in literature, film, you name it. Years ago, I read an article that talked about monsters as powerful artistic symbols. Up to that point, I mainly thought of Bela Lugosi or Lon Chaney slouching through a B-movie set on one of the back lots at Universal Studios. You know, Plan 9 kind of stuff. I had never thought of monsters as symbols. I was hooked. My curiosity was piqued. It was several years before I actually got my hands on Dracula by Bram Stoker. Mary Shelley’s Frankenstein followed soon after. Both of these novels surprised me with their nuance and depth. Frankenstein’s monster didn’t merely grunt, growl, and smash things. Instead, what spilled from his mouth were searching, philosophical discourses about the mutual responsibilities between a creature and its creator. Dracula, on the other hand, used vampiric imagery to portray evil as an interrelationship between desire and torment, pleasure and horror. Right now, I’m ¾ done with Tory Hageman’s Curse of the Wolfman. It too offers very definite commentary about what lurks within us beneath the veneer of civilization and education. So, at least one person out there is thinking, Wait a minute. I thought you were a Christian. How can you like monsters? Well, it is precisely because I’m a Christian that I like monsters. 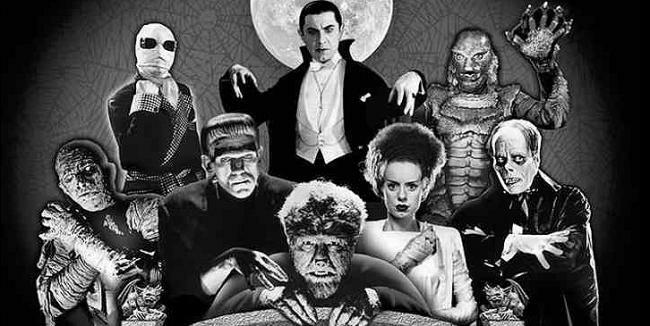 The classic monster stories were written in the 18 to early 1900’s, a time when Christianity still held sway in Europe. What you find in these stories is a Christian worldview. Dracula in particular uses the medium of fiction to unfold some powerful theological ideas. For this reason, several future posts will explore Christian themes in monster stories. I realize monsters aren’t for everyone. Some of my readers may even struggle with the validity of such posts. If monsters aren’t your thing, I hope you’ll pass the time by reading older posts you’ve missed. Or, feel free to browse some of my booklets. Links to the booklets can be found on the left-hand side of the blog. They can be read online or downloaded for e-reader. If these posts do interest you, I hope you’ll enjoy seeing how monsters confess Christ!